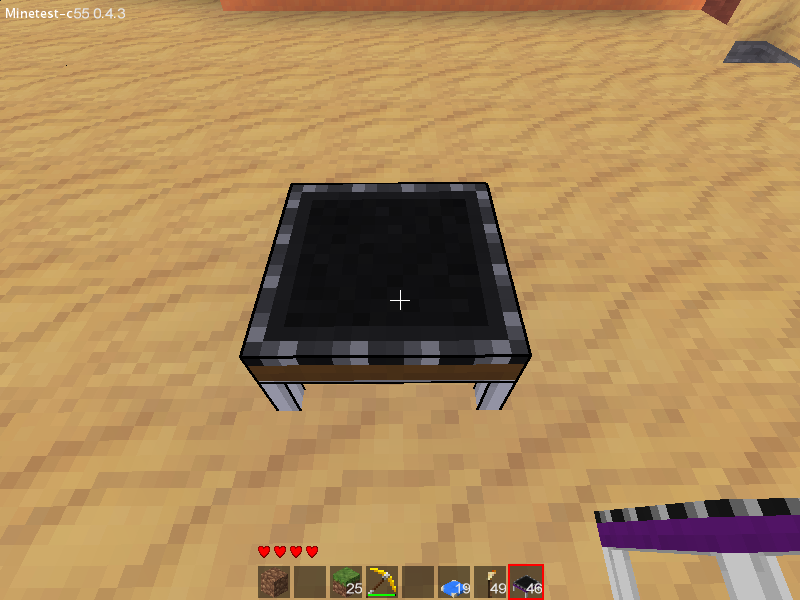 Jumping adds trampolines and cushions to minetest. Cushion: You can't jump on it, causes no damage when falling on it. Trampoline: Makes you jump high, you can set its strength by punching it. Causes less damage when falling. Crafting recipes: None yet, leave a comment here or on GitHub, I prefer pull requests. Last edited by Jeija on Sat Jan 26, 2013 21:58, edited 1 time in total. Jumping out of the map-limits? Topywo wrote: Jumping out of the map-limits? Last edited by Jeija on Wed Sep 05, 2012 16:15, edited 1 time in total. Last edited by Mito551 on Wed Sep 05, 2012 19:15, edited 1 time in total. For the cushion, three light blue (or just blue) wool in a line seems fine. +100 this is so fun! I like this mod very much, much easier than using ladders to clean my windows! There is a recipe already. Jeija, I just noticed (six months later ;-) ) that all "strengths" of trampolines are in the creative inventory. Can you reduce this to just one of those? Seems a little redundant since you can punch one to set its strength. Also, I'd like to suggest that on dig/pick-up, the returned item should be the lowest-strength one, to avoid inventory clutter. This mod seems fun. I might make a parkor map with it. 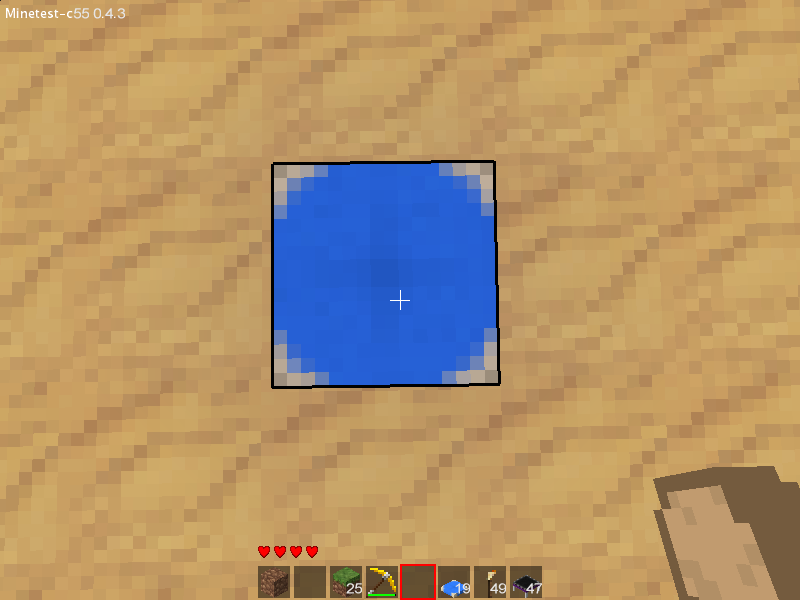 and instead of "wool:white" (or any other color) use "group:wool"
Thank you jeija, I'll use this mod on my dropper in Adventure Park - in my server. I was using cobwebs, but... it's confusing for novice users. But now it'll be very simple. Thank you. So I modified the code myself to achieve this. I hope you could quickly add this, and if he doesn't, to the rest of you. Feel free to do small swap in your init.lua and add this, This code no longer belongs to me. Here is the whole file if you feel like directly changing them out. This version does have already an adjustment for not_in_creative_inventory.